The Faculty’s goal is to produce dancers, choreographers and teachers whose training has encompassed a broad range of topics related to performance, instruction and creative activity. The combination of practical and theoretical training ensures a sophisticated and state-of-the-art environment for the advanced study of dance. 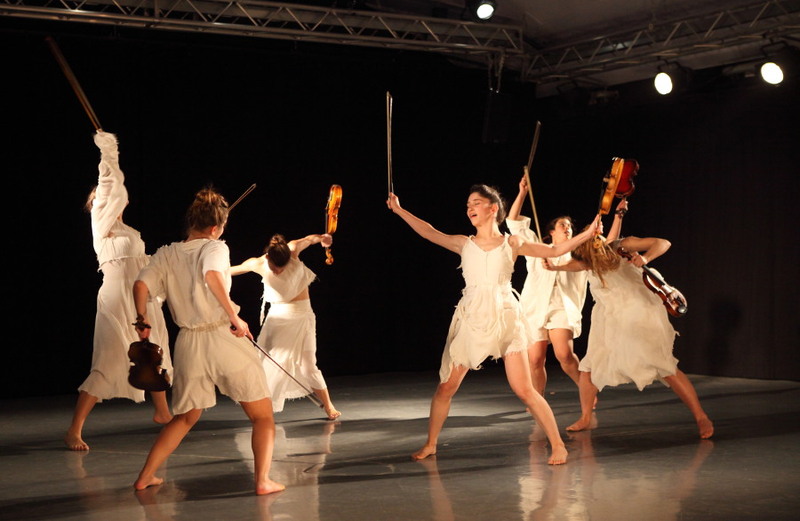 The Faculty comprises two departments: the Dance Department, rooted in the long tradition of dance as an art form, and the Movement and Movement Notation Department, whose innovative curriculum is drawing the Jerusalem Academy in new and unique directions. During the course of their studies, students have the opportunity to specialize and to fulfill their own personal potential. The curriculum enables students to gain experience with myriad styles of dance, movement, composition and improvisation, including martial arts and the Feldenkrais Method. Eshkol-Wachman Movement Notations applied to all areas of study. In addition, the curriculum is geared toward continuing education in movement therapy and numerous other fields. The Faculty emphasizes the integration of movement and dance skills, as well as sensory development (movement, acoustical and visual) and the development of analytical skills through observation, planning and evaluation. The Faculty encourages students to tailor their study programs in accordance with their personal inclinations, imagination and areas of interest. The Faculty’s approach to movement and dance is not one that entails a particular body structure or shape. Applicants with experience and training in any dance or movement-related discipline will be considered for admission. In addition to the required technical studies, students will be exposed to a wide variety of theoretical subjects, such as dance history and anatomy. The Bachelor’s degree in dance (B.Dance) is awarded to registered students who have completed four years of study in the Dance Department or the Movement and Movement Notation Department, and who have passed all of the tests and fulfilled all requirements stipulated by the Faculty curriculum. The degree is recognized by the Council for Higher Education in Israel. Students may earn Ministry of Education teacher certification in the framework of the Faculty’s teacher training program. Participating students are assigned to work in schools, under personal supervision, and specialize in instruction of the major disciplines. The program trains teachers of movement, classical ballet and contemporary dance. Training is geared toward instruction at the primary and secondary levels of the general education system. It also encompasses preparation to teach dance in private schools, community centers, and other venues. The program includes general education courses as well as courses on dance and movement teaching; the coursework is supplemented by practical experience in the classroom. There is an option to earn a B.A. Dance degree in a joint program with the Hebrew University of Jerusalem. Students receive thorough training in performance- and dance-related disciplines, and study a variety of methods and styles in depth.